The National Weather Service reports that the 1" of snow which fell at Syracuse, NY on December 3 ended a string of 280 days with less than an inch of snow which began on February 26. This was 7 days less than the record of 287 days from February 26 to December 8 last year. 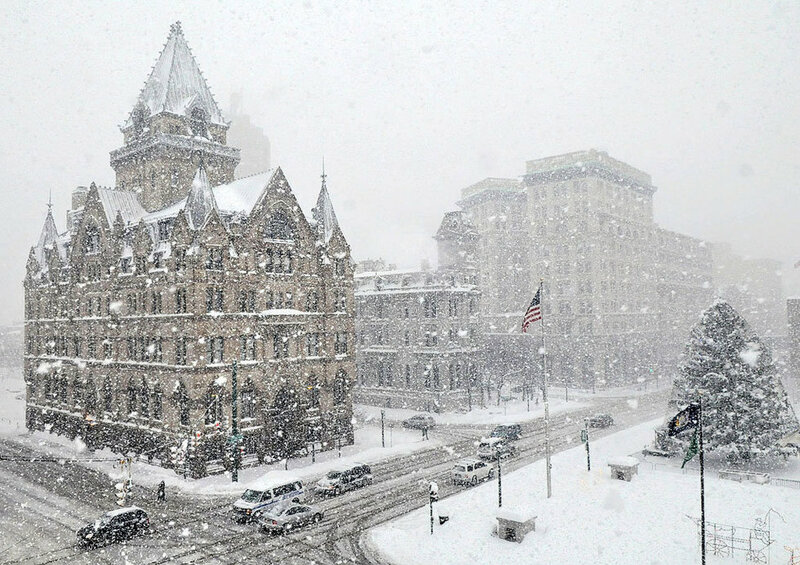 The December daily snowfall record at Syracuse is 18.6", set on the 30th in 1997. The annual average snowfall is 121.1". Another extended bout of lake-effect snow is likely next week. Image (click to enlarge): Clinton Square in downtown Syracuse, Wednesday morning (Dec. 8), from Syracuse Post-Standard. 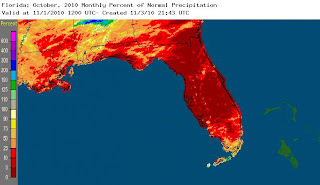 The latest U.S. Drought Monitor report shows that the intensity of the ongoing drought increased in Florida through the last reporting week of November and the end of meteorological fall. As of November 30, only 4% of the state (in the extreme southeast) was free of drought conditions, down from 8% the previous week and 74% at the beginning of autumn. The portion of the state in Extreme Drought (Category D3), the second highest category, was 8%, up from 2% the previous week. 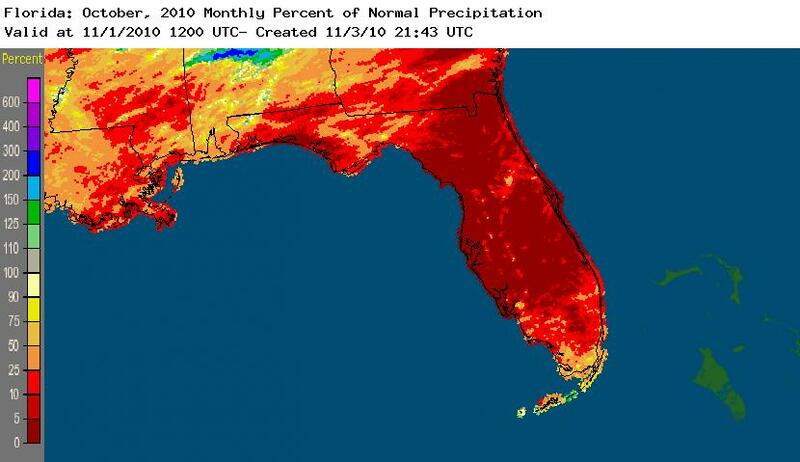 Dry conditions in Florida began to become established in mid summer, and they have steadily increased since then. Although percentages of normal precipitation increased somewhat in November from October's ultra bone-dry levels, particularly in a small area on the southwestern coast and panhandle, they were well below 75% over much of the state. 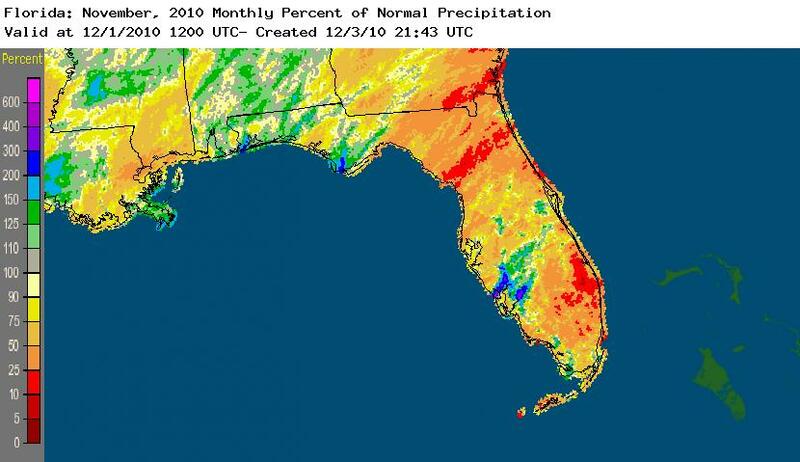 November precipitation was substantially substandard in most of east-central Florida. The National Weather Service (NWS) reports that the measurable rainfall on November 2 ended a 34-day dry spell at both Orlando and Melbourne. This was the 4th longest rain-free stretch at Orlando on record and the 5th longest at Melbourne. Melbourne was the only major reporting station in the region to report above-average rainfall for the month. The total of 4.62" for the autumn season at Daytona Beach was a new record low, surpassing the 5.37" in 1925.